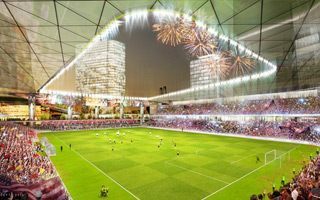 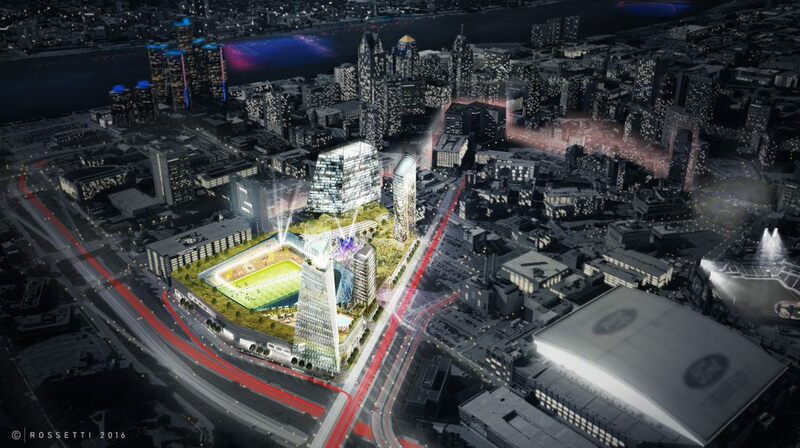 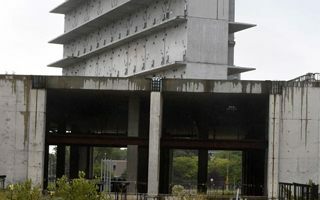 The concept was commissioned by billionaires Dan Gilbert and Tom Gores and envisages possible use of roughly 15 acres in north-eastern downtown Detroit. 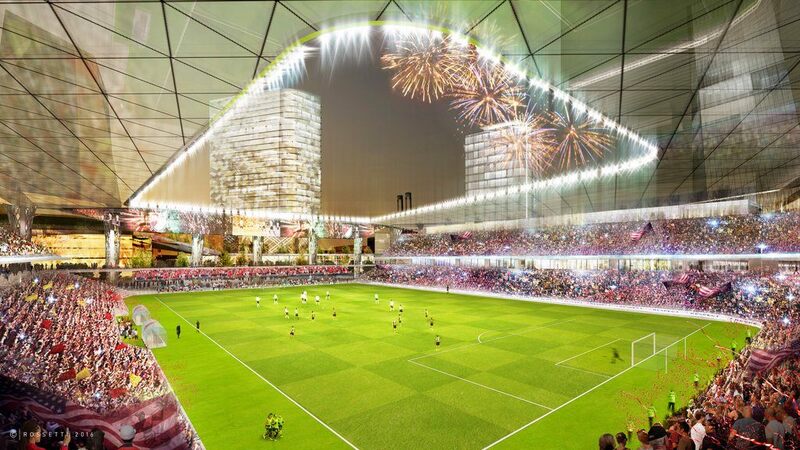 There is room for a 47,000-square meter stadium where the current unfinished state jail stands. The stadium would hold 20,000-25,000 people. 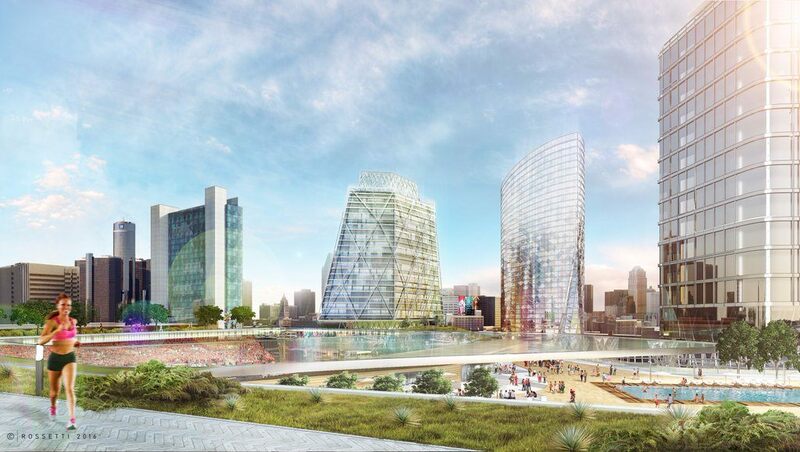 The venue, due to spatial constraints, would lie on the east-west axis and offer a semi-open west end. 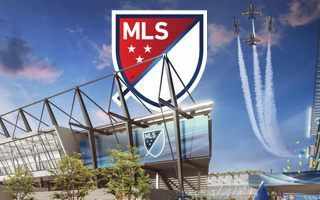 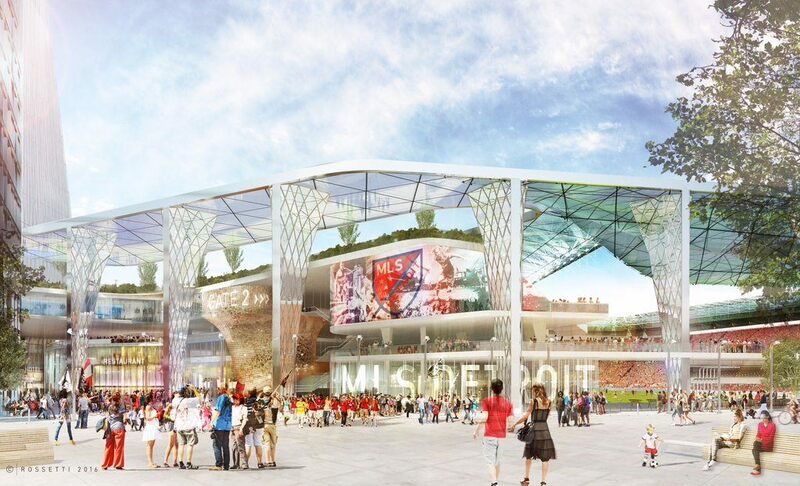 While three remaining sides would have double-tiered seating, the west zone would only have a single tier, connecting visitors to the plaza outside. 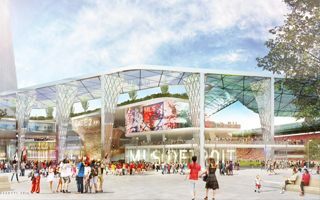 Plazas are a major feature of the project, because there would be a system of interconnected public areas on various levels, the top one being a park created on the stadium’s roof! 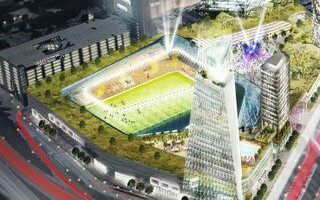 The plazas would also connect the stadium to three other major buildings in the complex, a hotel, office tower and residential tower, all between 18 and 28 floors.